Warmer weather is finally here, and it looks like it might stick around. There’s still quite a bit of ice for this time of year, but with temperatures mainly in the 60’s and 70’s, it won’t be long until that ice is gone. Now is the time to start planning your time on the Missouri River in Central South Dakota. In the Pollock and Mobridge areas there is a little open water by the bridges, and a few shore anglers trying their luck with northern pike. It’s still a bit slow going with the bays still frozen, but hopefully by the end of the week there should be some more open water. At Gettysburg there’s still quite a bit of ice, but there are a few northern being caught. Around Spring Creek / Cow Creek - the bay is still frozen, so looking forward to warmer weather. Around Pierre/Fort Pierre the water is open around the bridges, with some anglers having success. Around Chamberlain the water is open and some fish are being caught. Anglers are using jigs and minnows and some crankbaits. On Francis Case in the Platte area, the bite is starting. Anglers are using crankbaits or jigs. This week of warm weather should help get the bite going and by the end of the week, it should be pretty decent. In the Lake Andes, Wagner, Pickstown areas, there’s still a lot of ice and not much fishing action. Looking forward to the warm weather this week. At Yankton there’s still not a lot of action, but again, the upcoming warm weather should help things along. For more information and up-to-the-minute reports on fishing Lake Oahe, please call Kemnitz MoRest Motel in Mobridge at 605-845-3668. Call Bob’s Resort at 605-765-2500 or South Whitlock Resort at 605-765-9762 in Gettysburg. 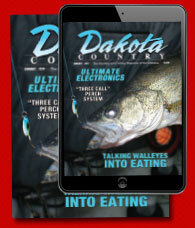 On Oahe and Sharpe call Hutch’s Guide Service at 605-220-2844. 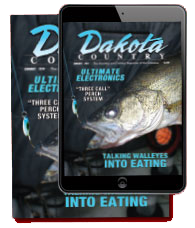 On Lake Sharpe and Lake Francis Case, contact Dakota Prairie Guide Service at 605-680-1910 or SD Dakota Walleye Charters at 605-366-1875. On Lake Francis Case, call Platte Creek Lodge at 605-941-1679 or Circle H Motel at 605-487-7652.